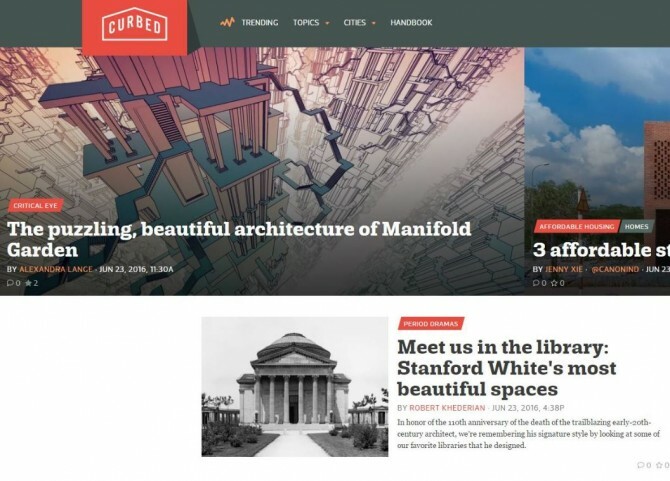 When I was in New York earlier this month for Kill Screen Fest, I met up with architecture journalist Alexandra Lange. It is one of my favorite interviews I’ve done so far. I talk about the different architectural influences on the game, and how the works of Frank Lloyd Wright and Tadao Ando offer lessons in level design. 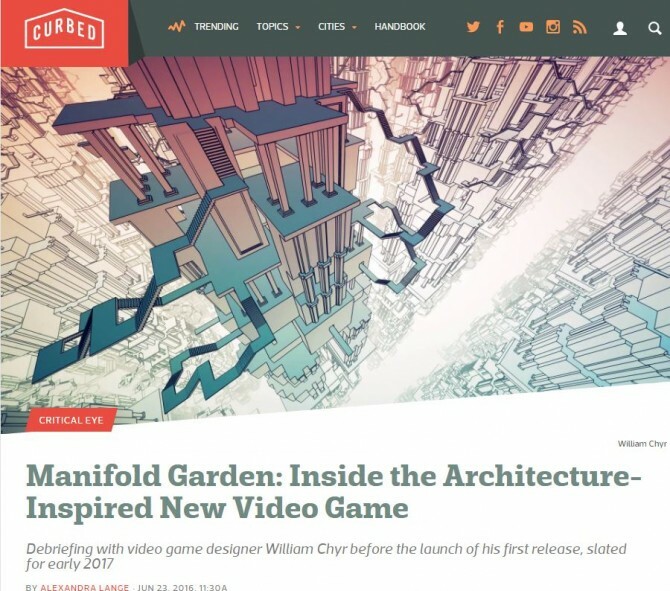 I highly recommend checking it out if you want to know more about the inspirations behind Manifold Garden. 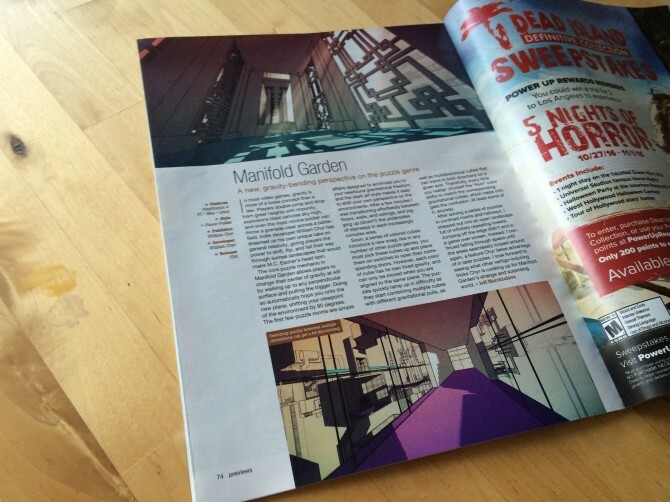 It seems like Manifold Garden has been getting a lot of press lately. 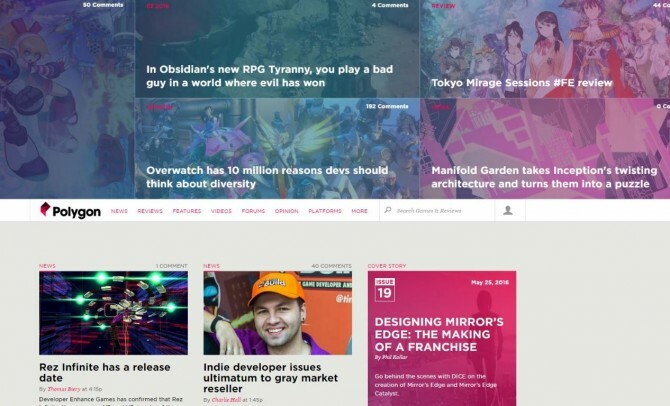 On Thursday, June 23rd, Manifold Garden was on the front page of both Polygon and Curbed! Tom has been making progress on the save system of the game. It’s coming along though, slowly but surely. Right after E3 ended, I went back to my hotel, packed up, and headed to the airport to catch a flight to Indianapolis. I got there at 6 AM. Indy Pop Con was about to start in just a few hours. 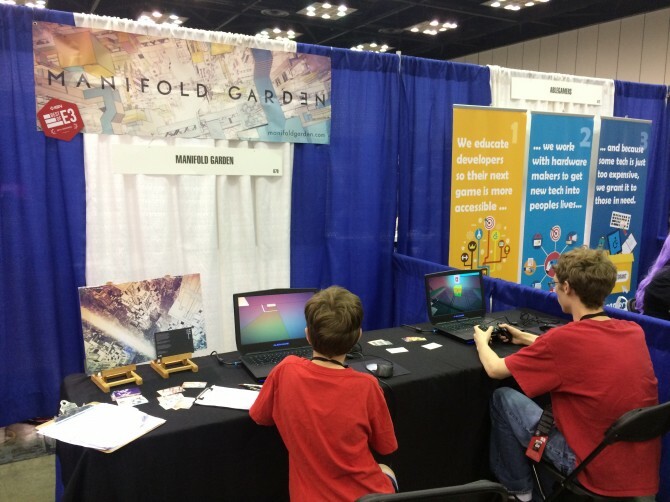 If you’ve been reading this devlog for a while, you might remember Pop Con from previous years. It started 3 years ago, and I’ve been there every year since the first one. 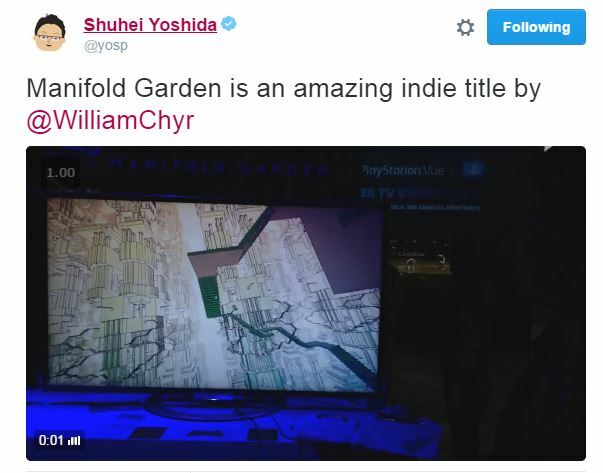 Last year they introduced the Reboot Award, where Manifold Garden got second place. As always, the best part of Pop Con is meeting the players. The convention is small enough that with 2 computers, I don’t really have to cut people short when they’re playing the game. I just let people play for as long as they wanted to, and several people played for over an hour. One person even played for close to two hours. This is a really good indication for me that the beginning of the game is strong and engaging. You also remember people from previous years. What’s really cool is that for some of these people, they’ve been able to see the game grow over the course of development through Pop Con. Like at past events, this year Alienware lent me 2 laptops for the show. 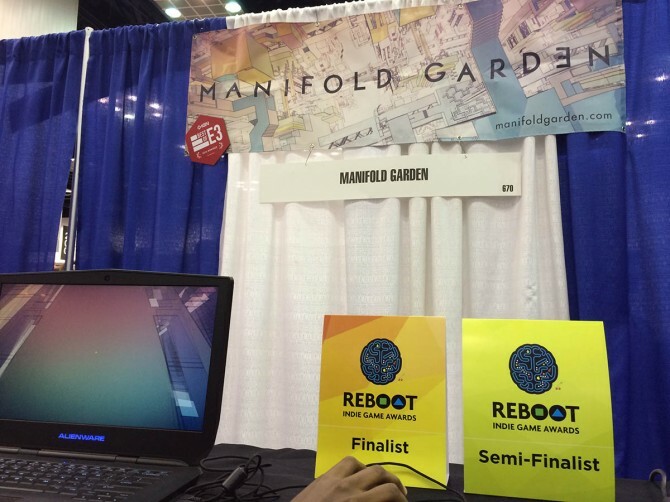 This year, Manifold Garden was also a finalist for the Reboot Award, alongside Tumbleseed and HiveJump. 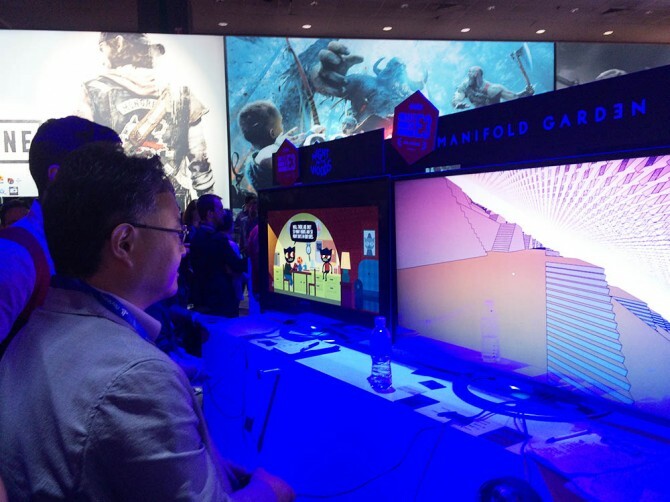 Once again, this year Manifold Garden got second place, losing to HiveJump. After Indy Pop Con was over on Sunday, I got a ride back to Chicago with Trinket Studio. When I got back to my place, there was a really wonderful surprise. 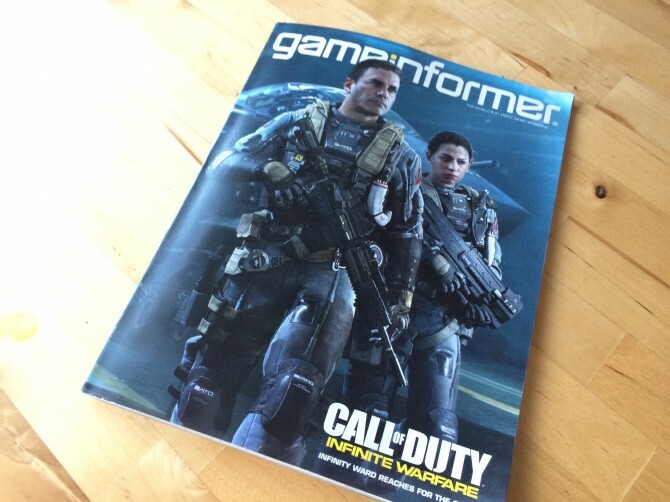 The latest issue of Game Informer had arrived! The third development update video is now up! 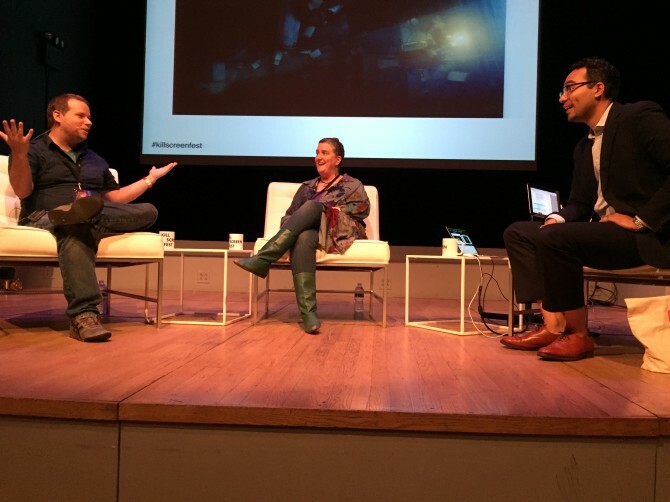 his past weekend, I went to NYC for Kill Screen Fest, where I was a speaker. Kill Screen Fest is a one day event. This is the 4th year that it has been happening. 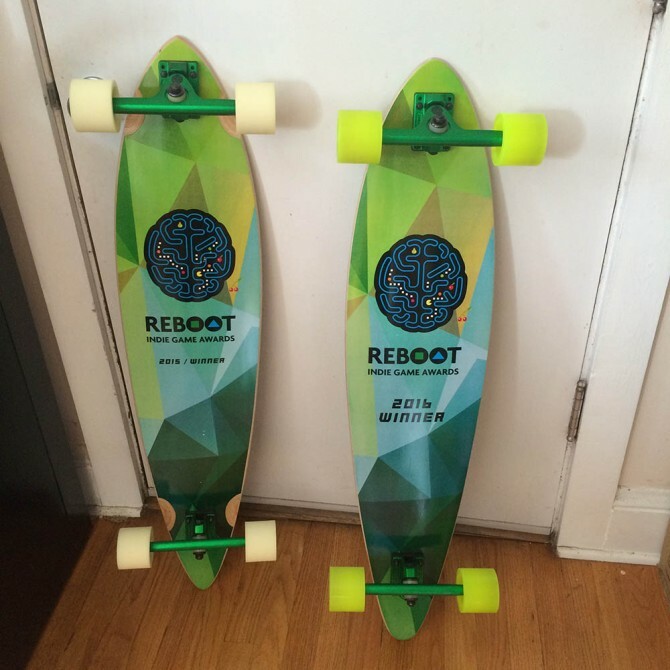 Previously it was known as Two5six. The day consists of a series of panel conversations. 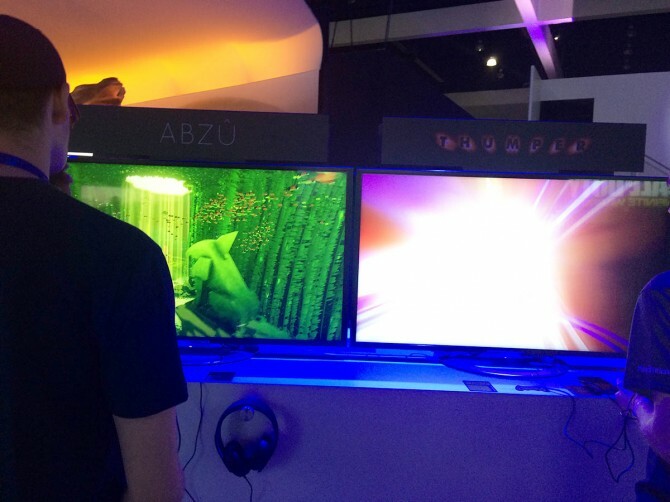 Each one would feature one or two speaker, along with Jamin Warren, the founder of Kill Screen. For the panels with 2 speakers, one speaker would be from the games world, and one would be from outside. Together, they’d discuss a shared topic. For example, there was the “Hellscape” panel, which featured game developer Kitty Horrorshow of ANATOMY, and theater director Felix Barrett of Sleep No More. 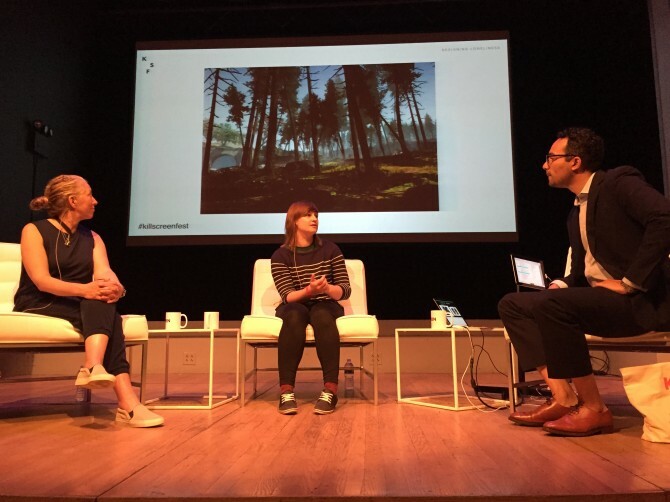 There was a panel about post-apocalyptic environments, which had Alex Graham, environment artist on “Everybody’s Gone To the Rapture”, and Diane Lederman, the production designer on the shows “The Leftovers” and “The Americans”. Then, there was a panel about the genre of girl detective, featuring Zeffa Kinney, the writer of several Nancy Drew novels, and Joe Russ, the creator of Jenny LeClue. 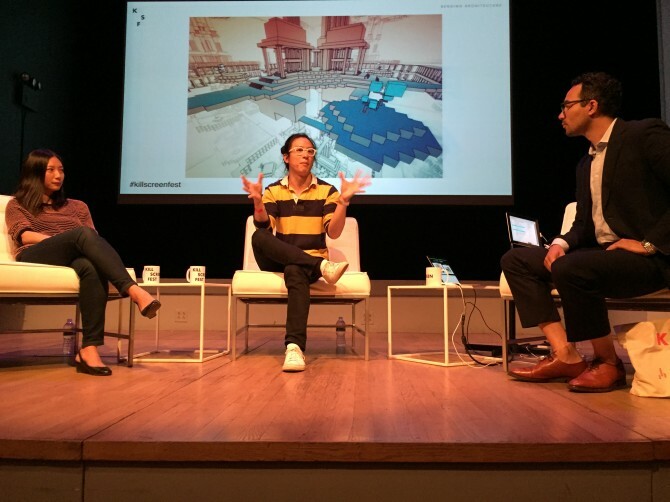 I was on a panel called “Bending Architecture” with architect Jing Liu of SO-IL. 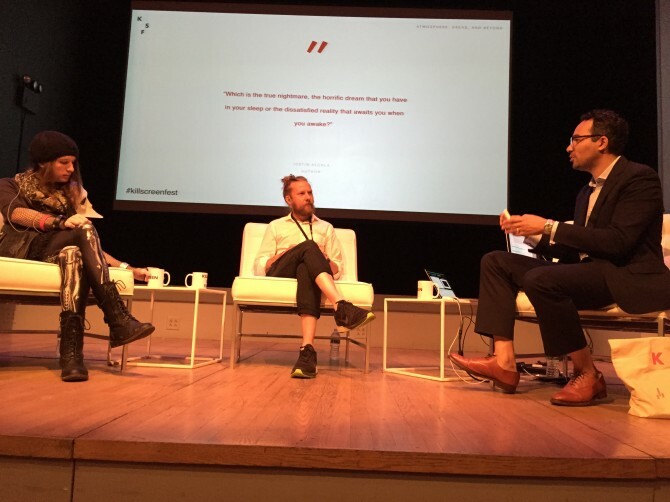 It was a really interesting conversation and we discussed a lot of the similarities and differences with creating architecture for digital and physical spaces. Currently working on getting ready for E3. Yesterday was a pretty rough day, full of a bunch of strange bugs. I had run through a build of the game on PS4, and gameplay-wise, everything was there. However, when I went to the pause menu, the UI didn’t work. It worked fine on the PC. This was very worrisome, because I knew this was going to be one of those really painful bugs to track down. Eventually, we found that it had to do with SRDebugger, a plugin I had downloaded from the Unity Asset Store. We hadn’t integrated the SRDebugger in the game. It was just sitting in the project folder. As it turns out, SRDebugger puts itself at the top of execution order, which was causing problems with inControl. SRDebugger is meant for mobile dev primarily so this isn’t really its fault. However, this is important to be aware of if you’re making a game for console. Many of the plugins on the asset store have not been tested to work with each other or on console, so you’re going to run into issues like this if they’re running behind the scenes. There was also another bug that prevented me making builds for PS4. This turned out to be some corrupted file, and deleting the Unity project library and rebuilding it fixed this. However, the project is so large now that rebuilding the library takes around 20 minutes or more. Finally, there was an issue where the inspector was showing rotation as quaternion values. This happens when you have the inspector set in debug mode, but this wasn’t the case. And this was what was causing it. Deleting the editor script fixed this issue. That’s it for today’s update. 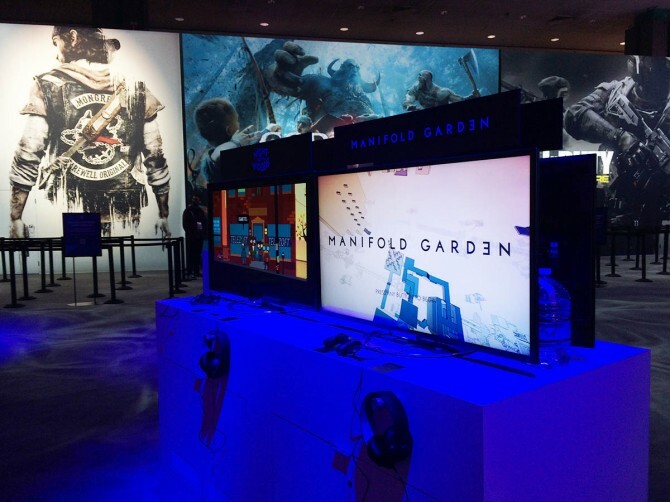 If you’re going to be at E3 next week, I hope to see you there! 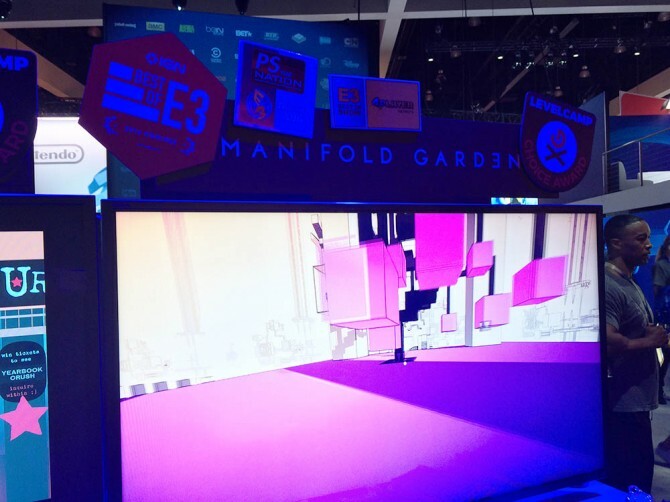 I will be showing Manifold Garden in the Sony section.